Nothing fits an original like the original, so when you need the right pieces to maintain your Stromberg, look for genuine Stromberg service parts. 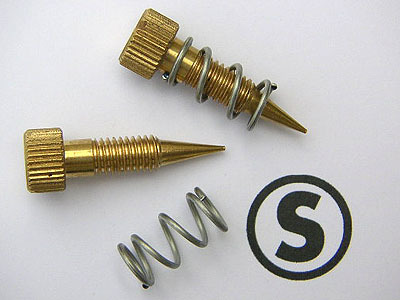 Their brass idle adjusting screws and springs are given a gold iridited finish and precision-made for a no-hassle rebuild. The float is supplied with new float pin. Parts are designed and manufactured to the best available quality at a great value. Make sure that you have the genuine Stromberg stamp on your service parts for a perfect fit every time.